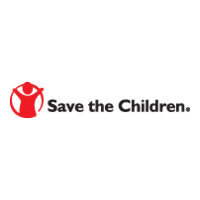 Save the Children works to help children in the United States and worldwide by providing them with basic needs and education. They have various programs, including Education, Emergency Response, Health and Nutrition, HIV and AIDS,Hunger and Livelihood, U.S. Disaster Response, and Protecting Children, which they use to accomplish their mission. Through these initiatives and their passion to promote healthy and sustainable growth for children, they have been able to reach over 125 million children in 120 different countries. Mission Statement: Save the Children gives children in the United States and around the world what every child deserves–a healthy start, the opportunity to learn, and protection from harm. When disaster strikes, they put children’s needs first. They advocate for and achieve large-scale change for children. They save children’s lives.